President Museveni presided over the pass-out of 3,958 UPDF recruits at the Kaweweta Military Training School in Nakaseke District. 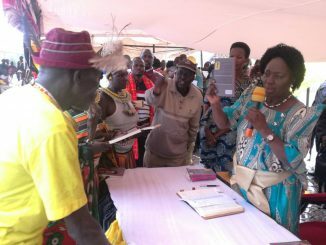 The law is taking its course to stop indiscipline opposition politicians from causing chaos in the country, President Yoweri Museveni has said. 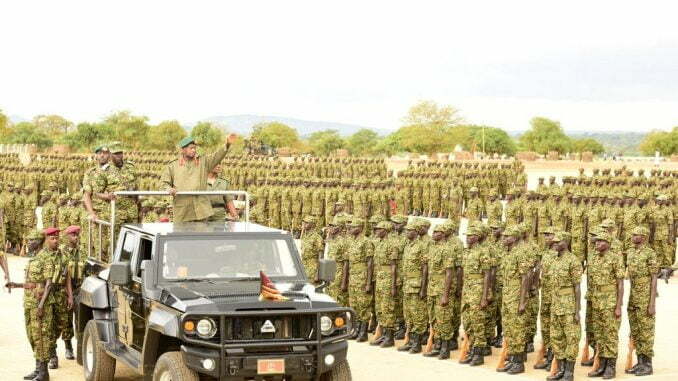 President Museveni explained that the country has attained peace for development and recorded growth in economy. Museveni added that exports have grown and cited Kenya where Uganda exported goods worth $ 228 million yet Kenya only exported goods worth $132 million to Uganda in May this year. He noted that the country is only challenged by only two security problems which include urban crime and indiscipline among opposition politicians which must be dealt with. Museveni accused the opposition politicians of engaging in violence especially during by-elections which are uncalled for. Without directly citing names of opposition politicians, Museveni said that some are now facing the law over their wrongs. Museveni said this while passing out 3,958 recruits at Kaweweta Army Training school in Nakaseke district on Friday evening. 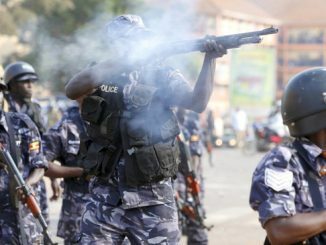 On Thursday the Former Presidential Candidate Dr Kizza Besigye said the repeated arrests of opposition leaders will not silence the public. Dr Besigye made the remarks while addressing the press moments before he was arrested by police officers who had been deployed earlier in the day at his home in Kasangati. At least 33 people including Members of Parliament and supporters are currently on remand at Gulu prison on charges of treason. Among them is Kyadondo East Member of Parliament, Robert Kyagulanyi Ssentamu alias Bobi Wine, Gerald Karuhanga, Paul Mwiru, Kassiano Wadri and former Makindye West MP Michael Mabikke. 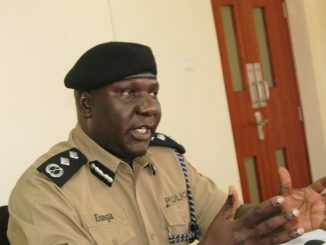 The MPs were arrested from Arua on Monday after the chaos that marked the final day of the Arua municipality Parliamentary Race when residents pelted stones at stones at President’s car.